Another part of learning acceptance of differences is understanding them. As such it is important to look at other cultures. In doing so you will find the similarities and differences between yourself and them and understand the people in the culture a bit better. Today we are looking at Kenya. Why Kenya, you may ask. Well, Hazel received a wonderful postcard from Kenya about a month ago. 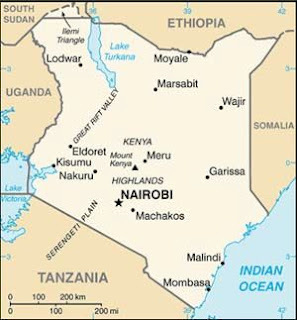 For the flag and map as well as some more information I went to http://www.state.gov/r/pa/ei/bgn/2962.htm, the official page of the Kenyan Government. Kenya is 224,080 square miles which is just a bit smaller than the state of Texas. The official language of Kenya is English. The population is about 39 million (as of August 2010) and is very diverse. The majority of the population is Christian. They also have very different climates within the country although the equator passes through just about the center of Kenya. 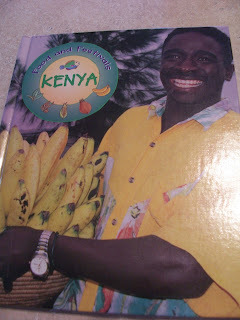 Our first activity came from this book on Food and Festivals of Kenya by Wambui Kairi. 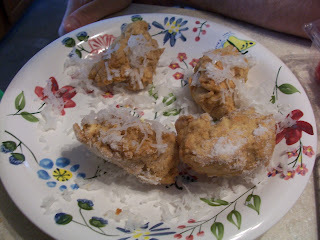 We made kaimati, a small doughnut coated with sugar or coconut. They are eaten in Mombasa at a party at the Makadara Muslim Grounds to celebrate Id-ul-Fitr, the end of Ramadan. Ramadan is a month where Muslims fast during daylight hours. Therefore this festival is at night so it is dark. To make kaimati we took one cup lukewarm milk (ok I microwaved it since didn't realize it needed to be lukewarm until we needed it), one teaspoon dried yeast and a pinch of sugar and put them all in a bowl and let it sit for 10 minutes. I should add that our dough did not really rise so I think this may have been due to the wrong temperature for the milk and another little mistake we made. Next Hazel beat an egg and added it to the yeast mixture. Hazel was a bit sloppy in her mixing and spilled a bit of the liquid (this was another minor mistake). 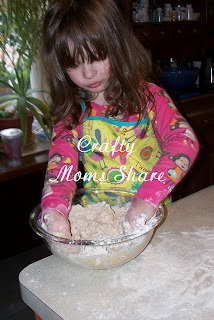 Then we mixed together 1 cup of flour and a teaspoon of salt (ok this is our second mistake. It was suppose to be 3 and 3/4 cups of flour!) 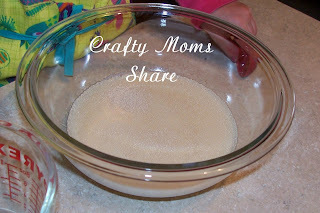 Then we added the liquid and realized our mistake and added more flour. Then you get to mix with your hands and kneed a bit. 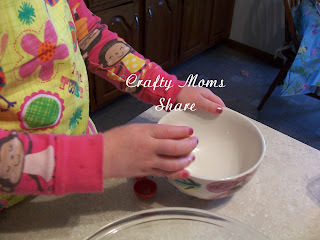 After adding the flour I found the mixture to be too dry (and would not mix in), so I added some more milk. It still was dry, but at least it was all mixed. Then you let it rise for two hours. (I went to church while it was rising.) Then you deep-fry it in oil by dropping spoonfuls into the oil. I used canola oil in my large saute pan and ours was so dry I formed balls and dropped them in. When they came out you rolled them in sugar or grated coconut. I gave Steve the job of rolling. He actually liked them in both, but the coconut I bought was not fine enough for this. Next we took a craft from Around-the-World Art & Activities by Judy Press. 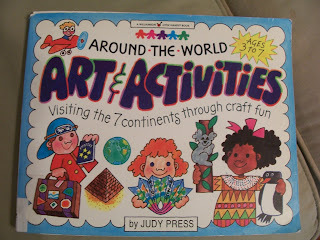 I was actually hoping to get two crafts from this book in today, but it didn't happen. Hazel was a bit tired and cranky between being sick and getting up early. We did however talk about the second craft which was to make zebras out of envelopes. I told her how Kenya was one of the places zebras live. 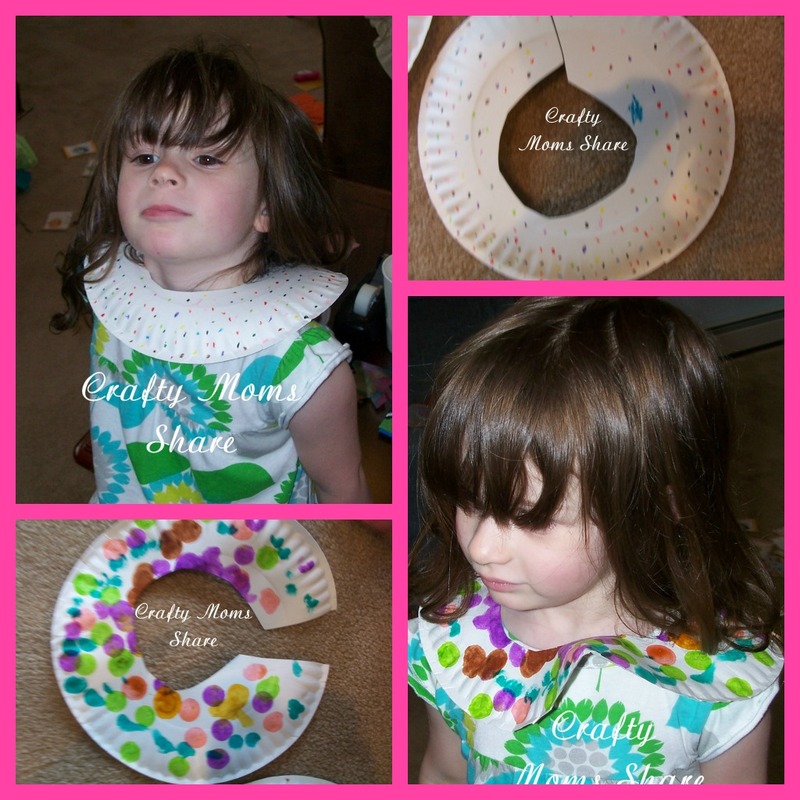 We made Masai "Beaded" Necklaces out of paper plates. This is a very easy craft. you cut a hole in the center of the plate trying to leave a wide brim. Then you are suppose to use the back of a paintbrush to make different color dots all over it. We did this in our family room so we used crayons on one and her dot markers on another. Hazel even let me get some pictures of her with them on. She hates when I take her picture unless I say it is for one of her grandparents. The book did a nice job of saying the Masai men and women wear this very beautiful but very heavy jewelry. It also shows that the Masai live in Kenya and North central Tanzania. For more information about the Masai people please visit The Masai of Kenya site. To see pictures of these beautiful necklaces visit the Maasai Art and Beads Association site. 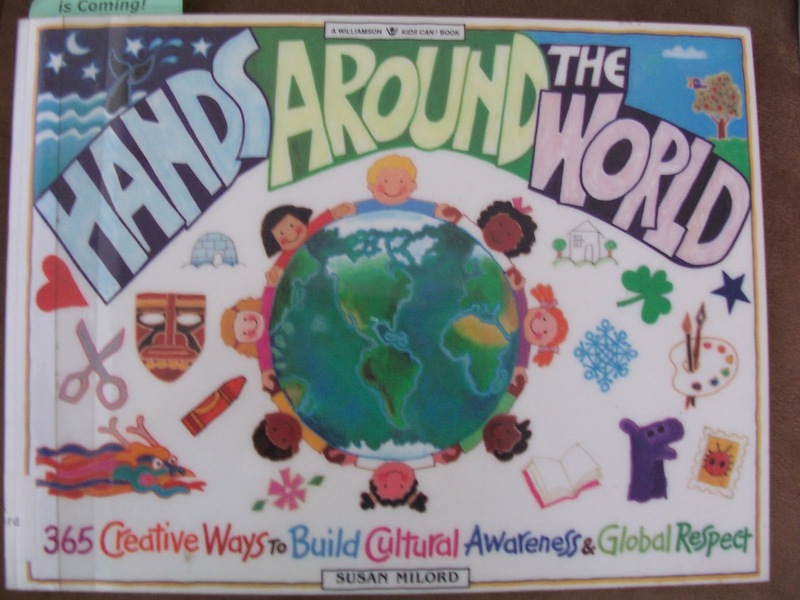 The final piece of information I will share with you today from Kenya comes from Hands Around the World by Susan Milord. 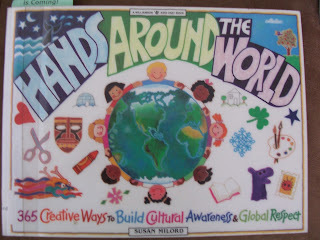 This book has a different activity for each of the 365 days of the year to learn about different cultures. On January 14th it discusses the different customs in naming babies. Among some Kenyan groups a firstborn daughter is always named after her father's mother. A second daughter would be named after her mother's mother. I just found that interesting. It discusses many different cultures traditions. Most of it is for older children and this was the only mention of Kenya in the book, but definitely an interesting book. 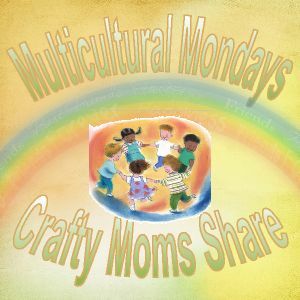 What do you do to teach your child about different cultures and to be more accepting of diversity? What a fun way to learn about different cultures. The kaimati sounds yummy. When the kids were little we had fun with various activities from different cultures, now that they are older we still have fun trying out different foods, and we all love learning about wildlife around the world as well. I also like to bring these activities into my Sunday school class when we are learning about different cultures that missionaries visit, the children always enjoy learning about different cultures. Glad to inspire you! It looks like you had a fun time learning! 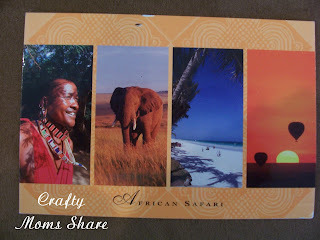 How great ~ and how fun for Hazel to have some penpals in Kenya! The kaimati sounds like something really good to try :-) Thanks as always for sharing at Happy lil ❤'s are baking!! This is wonderful! 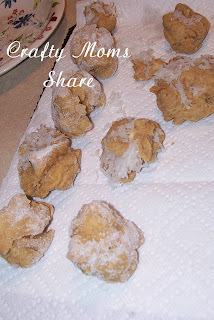 I totally want to try making those donuts! I seriously love introducing other cultures through food! I'm pinning this--thanks for sharing at Teach Me Tuesday!! This is a wonderful unit! The neck piece you made is so pretty!